Before we get into how to floss your teeth, let’s consider this question: why should you floss? Flossing ensures that plaque and food particles that are missed by your toothbrush are removed. Flossing gets between the teeth and under the gum line and thereby ensures that you are removing food particles that your toothbrush couldn’t reach. Are there Different Types of Floss? There are two main types of floss commonly available. Nylon (multifilament) Floss-This is made up of many filaments of nylon, woven together, that tend to shred while you are using it. This happens particularly where the gap between your teeth is extremely narrow. PTFE (monofilament) Floss-Although it’s more expensive, the single filament floss is more effective in those tight spots, as it slides more easily between the teeth, and doesn’t shred as easily. Should I brush before flossing are after? It is generally recommended that you brush before flossing to give your mouth a good clean. The floss will dislodge food particles during the flossing process, so it is recommended that you brush your teeth again after flossing, to get rid of the food particles that were dislodged. This will also allow the fluoride in the toothpaste to penetrate deeper between the teeth. So How Do We Floss? Most people realise that they must floss but are not really sure of how to floss correctly. Luckily Encore Dental is going to help you with that. Cut about 18 inches (46cm) of floss of the roll, using the special dispenser that comes with a tiny cutting blade embedded in the dispenser. Wind equal amounts of floss around both opposing middle fingers. Leave about two inches (7cm) of floss free between the middle fingers to work with. While holding the floss tightly between your thumb and index fingers, guide the floss between your teeth and gently work the floss backwards and forwards, as you work down the tooth. 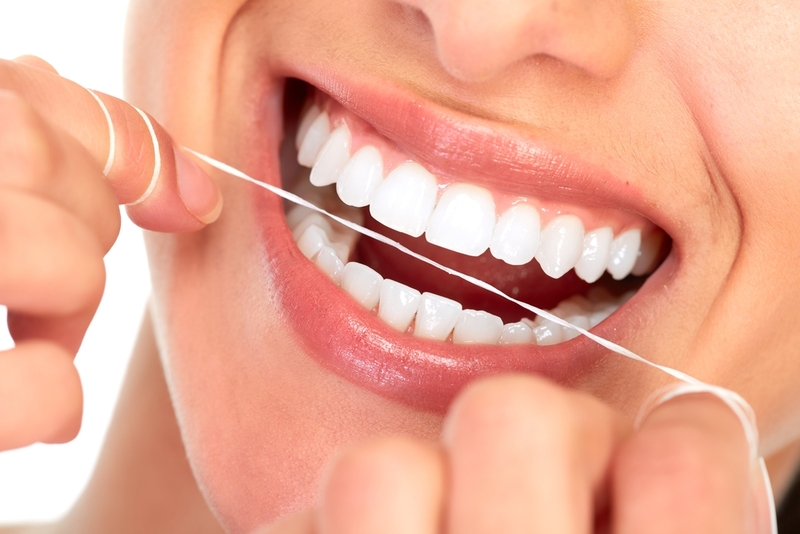 When working the floss between teeth that are very close together, be careful not to snap the floss against your gum. Work as far down the tooth as you can, going as deep under the gum line as your gums will permit without causing pain. Form a C-shape with the floss around the tooth and move the floss gently up and down against the tooth, going as far down as you can without pain. Remove the floss from between those two teeth, again using gentle backward and forward movements, and proceed to the next gap. Repeat the process until you have covered your whole mouth, top and bottom. Advance to a new, clean piece of floss between teeth and wind the dirty floss on one of your middle fingers. If your gums bleed after flossing, it might be advisable to consult a dentist. You could possibly have gum disease. Flossing might seem laborious when you first start. With perseverance, you will soon get used to the process and you will form the habit quite easily. 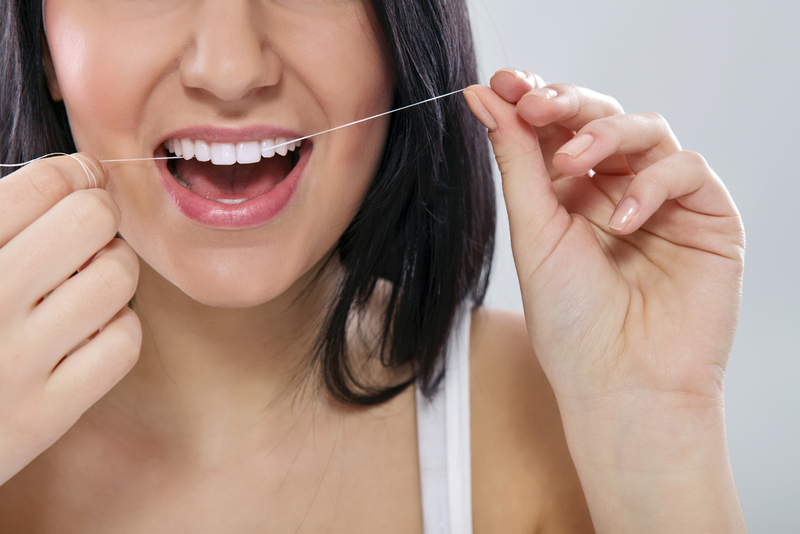 The benefits of regular flossing far outweigh the little effort it takes.